When Gabriel Galgoczy presents his wildlife photos, he introduces you to each animal as if they had a discussion prior to him taking the photo. He knows which areas they frequent, because he says they are like humans, creatures of habit. 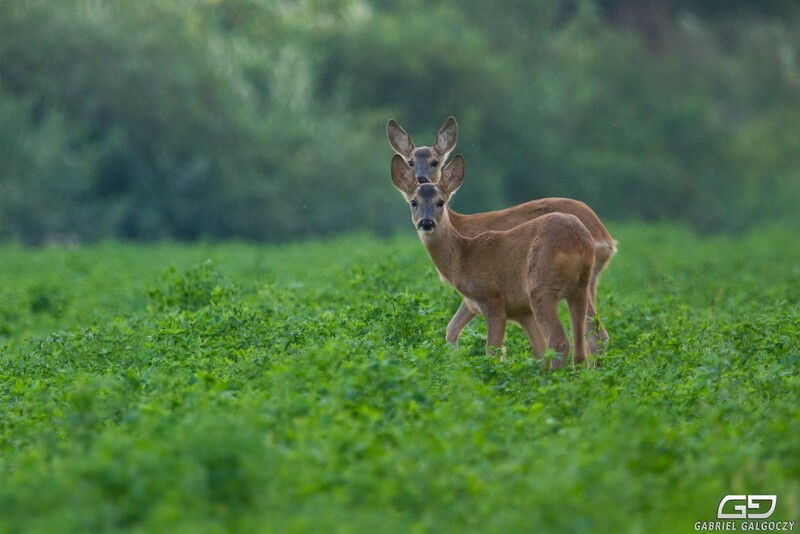 He once followed two deer for one hour in order to capture the perfect photo of the them aligned. 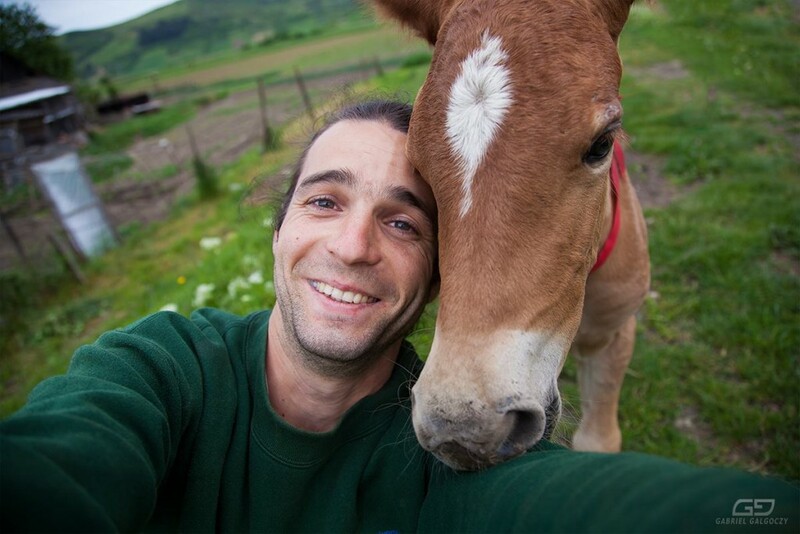 His passion for animals comes from his father, who grew up on the bank of Someș, three kilometers away from the forest. His father used to take Gabriel and his brother hiking for hundreds of kilometers, hunting, and fishing, teaching them about animals, a fact which lead to making Gabriel look for nature wherever he was on the globe. “What’s that?” he says he used to ask, letting curiosity wild. From his father he learned many things, knowledge he is now growing. He wants to learn the scientific side. His mother is very passionate about plants, having a garden with more than a hundred herbs. As he talks, you can see passion light up his face. Two deer caught in alignment. With a Journalism Bachelor and a Masters in Media Production for which he didn’t present his dissertation, he says he never wants to work for anyone else. In the photojournalism course he became acquainted with a digital camera. In the summer of his second year he went to the United States for work. What happened when he reached Boston was, no one was there to pick him up. After begging for one day and a half, he made enough money to buy the bus ticket he needed. The motel he worked at had a National Park near it – a lake, mountains and the Atlantic Ocean – he managed to explore the entire area on his own in the months he was there. You can find nature in every story he tells. Like the time he was stopped by police because he was driving his bicycle without having a headlight. Of course on the forest road he went hom riding it, because he liked it even if there were no lights on it. That was where he learned to do portraits, “to hide defects, to know what distortion is, to know what absolutely everything is, how the lights work. I learned 16 different light setups.” He photographed around 400 portraits, and took 800 snapshots at events. His work day started around 6 am in the morning, with a different schedule every week, as the photographers were rotated in order to change positions on the ship. They also photographed on different backgrounds, which were rewards based on how good they were. They had to sell 10% of the printed portraits in the gallery the next day. After learning and experiencing life on a cruise ship, he returned home. He says he got tired of taking photos of people, that’s why his focus is wildlife now. His brother asked why would he come back home if he wanted to take photos of wild animals. To which Gabriel answered that there are many animals there. 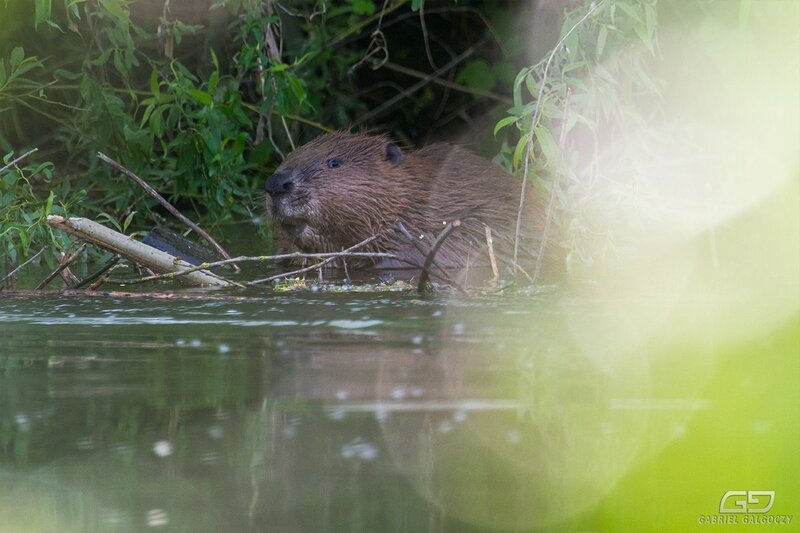 He proved it by taking photos of beavers in a very circulated area in his home town, Gherla. He’s reached the point in which he knows how close he can get to different animals. And getting up in the morning and going with his camera around in search of things to photograph makes for his daily adventures. 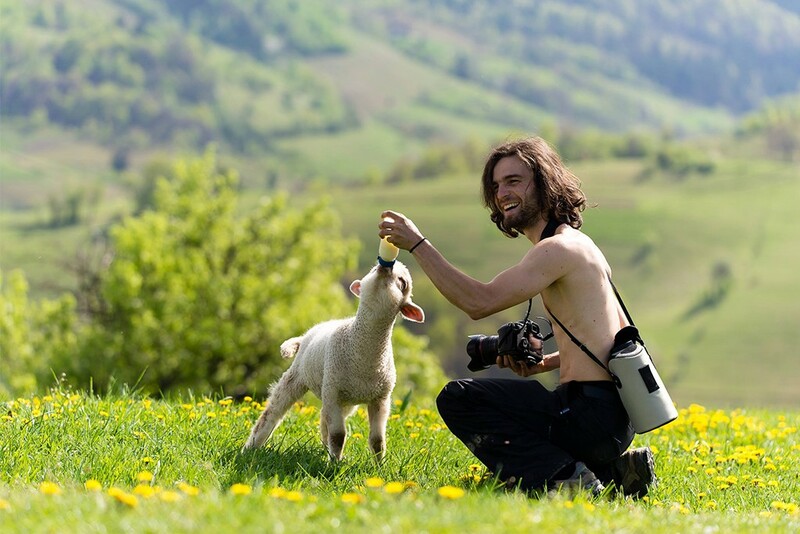 In order to protect the animals he enjoys photographing, he is working towards establishing a protected area on the Someș river. Gabriel also hikes as the landscapes are best photographed at the top of the mountains. He wakes up before the sunrise in order to catch the ‘golden hour’ in the location he wants. 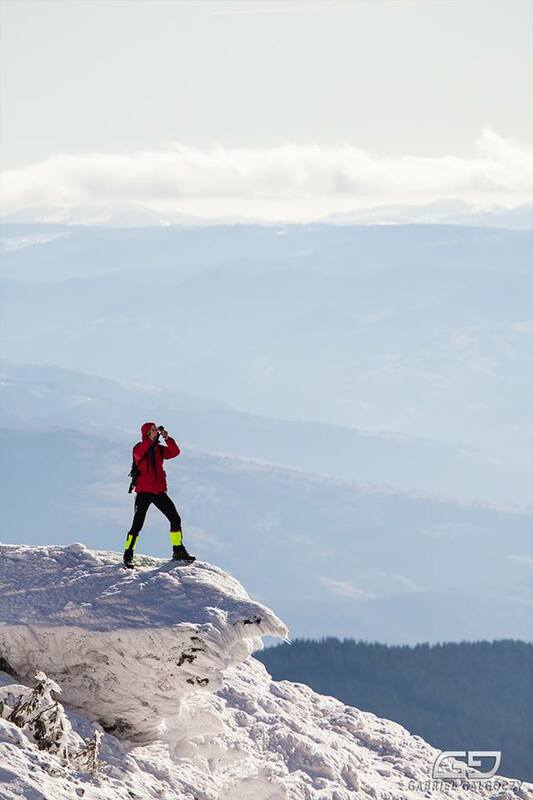 He climbed many mountains in Romania, hiking as long as 8 hours on the way up. As Gabriel has a lot of equipment, he has climbed with up to a 30 kg backpack, when he only has 55. Gabriel’s life hasn’t followed a regular line. But at this stage in his life he’s happy that “All my energy goes where I want.” He has reached a stage where if you talk to him, you realize how you need to adjust your life. He explained to me that passion is the only thing worth doing with your life. We all chase happiness, but because we listen to people’s advice, and that might not lead you to your happiness. I’d like to leave you with his advice – always listen to yourself.